Discussion in 'Manchester United Forum' started by Utdfrom2002, Feb 23, 2018. 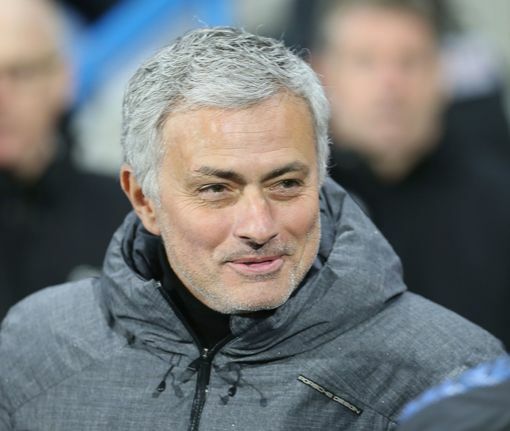 “How you feeling about the game Jose?” “I’m not losing my hair about it”. They will barrage him with Pogba again. He will probably refuse to talk about it this time. DomesticTadpole Doom-monger obsessed with Herrera & the M.E.N. 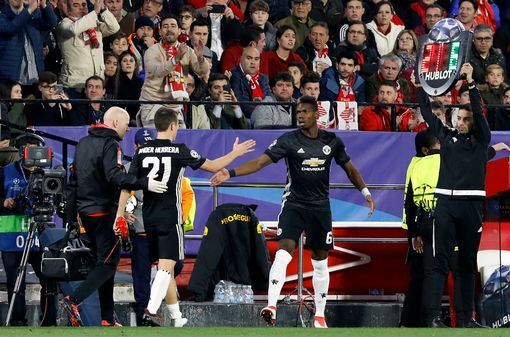 You saw the game against Seville, it’s always more difficult to come from the bench than to start, a player when he is starting the game has a different kind of preparation for it, to be on the bench and to come on without warming up and getting to the pace of the game is not easy and I think he had a very positive game for us and some details are details and some players take five mins to be ready to play, they don’t have shinpads, strapping, the shirt, he took 10 seconds to be ready to come to the pitch, to show the professionalism and show he was ready to help the team. He responded very well in a professional way both times, he was on the bench against Huddersfield in the PL and he responded in a pro way and he was on the bench in Seville and did the same. Good. Encouraging words about Pogba. I don’t want to speak about it, I’m not going to speak about it. That’s not the point, very good manager, fantastic team and that’s what is important for me. 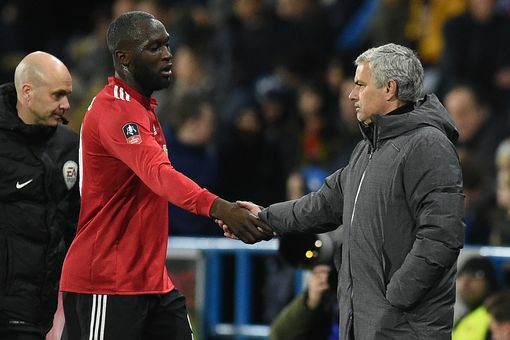 I don’t know but I’m not worried, 21 goals is not bad at all and I don’t measure the players’ performances the same way you do, I have other points of analysis and I’m happy with Romelu performance when he doesn’t score goals. Was hoping they'd stream this on YouTube. We need to scrap Jones ASAP, why is he still here, when he’s constantly unavailable. I’m sick of it. Not that the others on the list are much use to us either. And this is how the Daily Star twist it! And this is how the Daily Star report it! He never mentioned Paul or was Paul mentioned in the question he answered? Isn't he talking up Scott? YEah. And the Daily Star are twisting it as an attack on Pogba. Wankers! The state of journalism these days! Jose is using Scott as an example to Pogba. Come on Paul. I have a good relation with the board, I don’t forget how nice they were to me in a difficult period with departure of my father, they show me in that moment they feel me as a friend that did his best for the club and always respects the club so in relation to the board they know the relation with me is always good, with the players, I don’t have many problem, any regret, any stone on my shoes, no problem at all, and the fans are fans, with many of them in the street I feel that empathy and that relation that normally should be a connection and feeling forever. When I play at Stamford Bridge some reactions from the fans are just reactions. Good to see both of them not engaging and preferring to do the talking on the pitch! 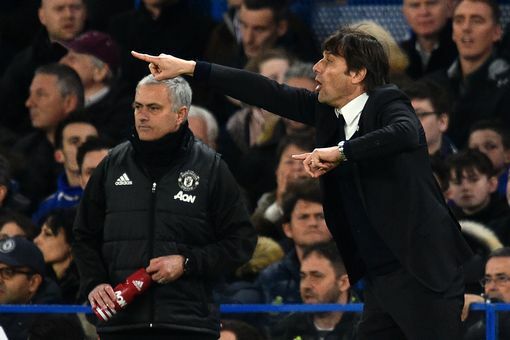 First they barrage him with the Conte situation. He doesn't need to. Conte will be wanting a piece of him anyhow, and this way it will look even more out of place. 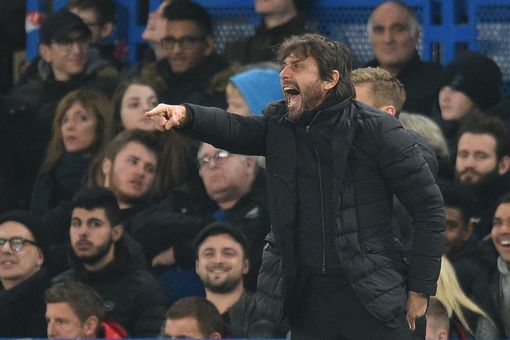 Feck Conte! I hope Zlatan is on the bench just to go and deck him in case of necessity. His hair is a mess. 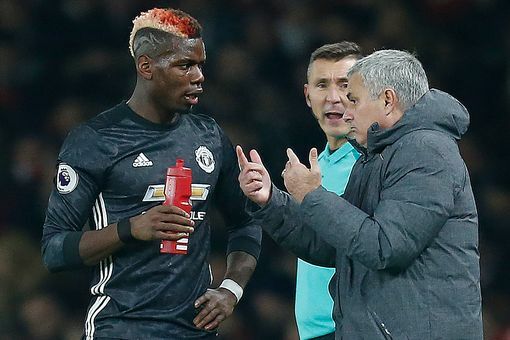 Good press conference I thought, some good support for Pogba and Lukaku again showing that this supposed 'rift' between himself and Pogba is most likely nonsense. He's been full of praise for McTominay lately, wonder if we'll see him start again v Chelsea with Pogba/Matic. He does appear to be making efforts of being conciliatory. All I can say is we will see. Wait a min. When did Jones get injured? Herrera is going to be a big miss for the inevitable man marking job on Hazard. It's nauseating how the press spin things. Ffs how did they manage to write that given the above Jose quotes? Their uselessness is outstanding. I hope it gets so bad that eventually clubs/players can start suing papers for writing fake news. I think if you click on the link, you probably don't have any such kind of news. They ll just put Pogba quotes and this quote together and wont specifically say Jose told this about Pogba. High praise for Scotty, like Shaw. Which means he isn't starting the Chelsea game. Two-man midfield it is. With Lingard.